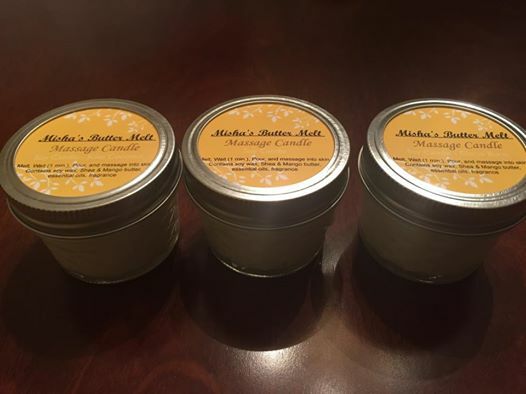 Misha's Butter Melt Massage Candles are a must-have! It's like a hot oil treatment for your skin. Made with skin safe natural soy wax and Misha's More Better Butter. This candle is uniquely blended with your skin in mind. It contains many skin treasures that will revitalize your skins softer side. The melted wax can be massaged into skin after a shower to lock in moisture. The same fragrances available for the hair and body butters can also be added to these candles. *Note: Fragrances for candles will not be as strong as a household candle since its intent is for the skin. Contains skin grade soy wax, Shea & Mango butters, almond, jojoba, avocado, vitamin E, essential and other oils. 4 oz. Everything you look for in a massage candle, only it has a very subtle Kiwi Coconut scent. This candle is uniquely blended with your skin in mind. It contains many skin treasures that will revitalize your skins soft side. The melted wax can be massage into skin after a shower to lock in moisture. The same fragrances available for the hair and body butters can be added to the candles. This uniquly crafted candle contains the very popular Lemon Meringue Shea butter which is blended in soy wax with a little help from lime and orange essential oils to give it its not as subtle citrus scent. Leaving your skin with a clean and crisp scent. Try three different candles Kiwi coconut, Citrus Burst, and unscented. Or mix and match as you choose. Real all natural skin safe citronella candle. This is great for hanging out on the deck, patio, or for camping. Light candle to ward off mosquitoes so you can enjoy your evening outdoors. When melted you can also rub on your skin. 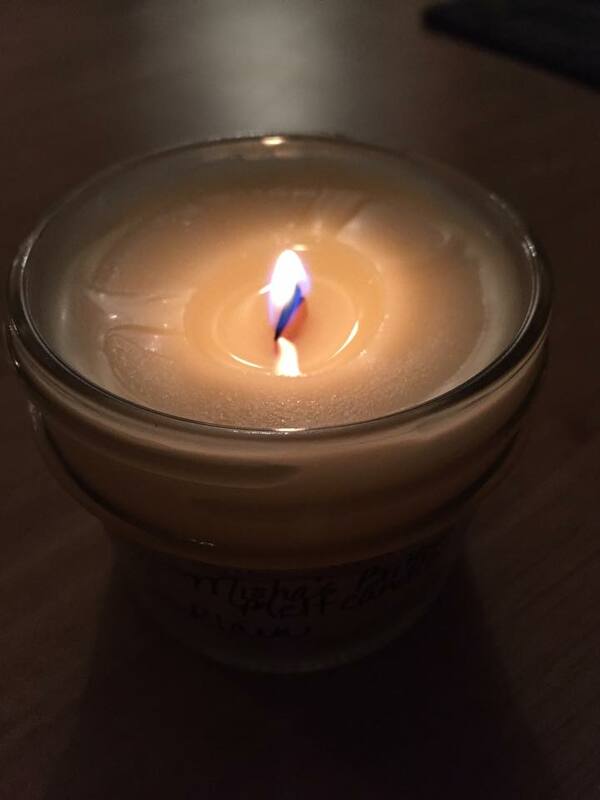 Made with soy wax so this will burn longer than most candles. Copyright 2014 Misha's More Better Butter. All rights reserved.